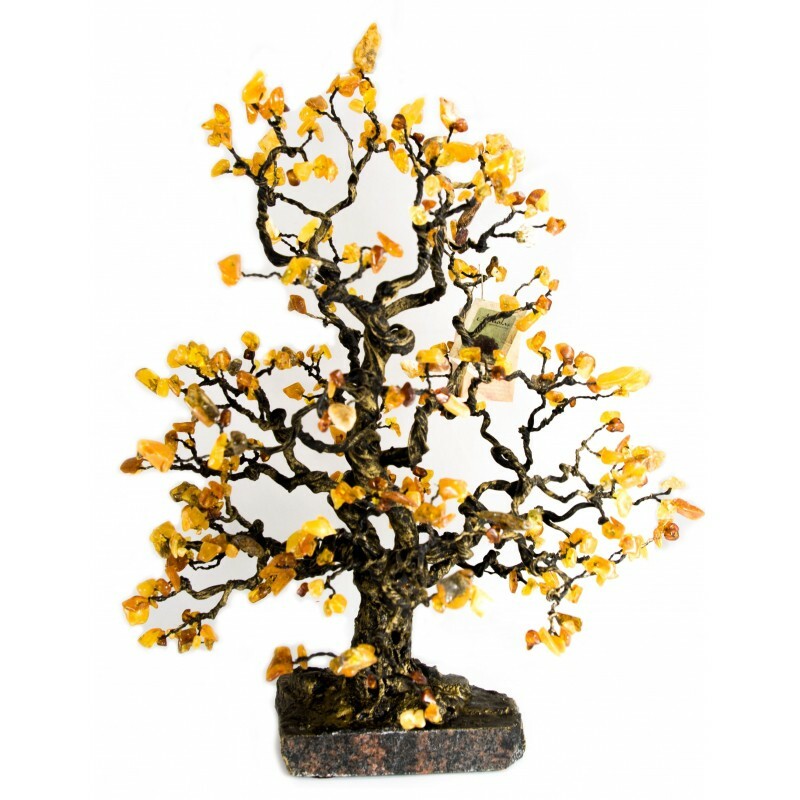 Yellow tones and shades natural Baltic amber tree. Handmade, made in Lithuania. Tree ordered. Concact on e-mail info@balticbuy.lt or tel. (8*37) 225 126.